Split toe and I went to the hunting property this morning to drop off the tractor for work weekend, and came back by the dove field on Rum Creek WMA. 10 of our members were drawn to hunt dove opening day. Fields look good and saw quiet a few dove flying. From my experience , take lots of shell's!!!! It should be a great shoot. 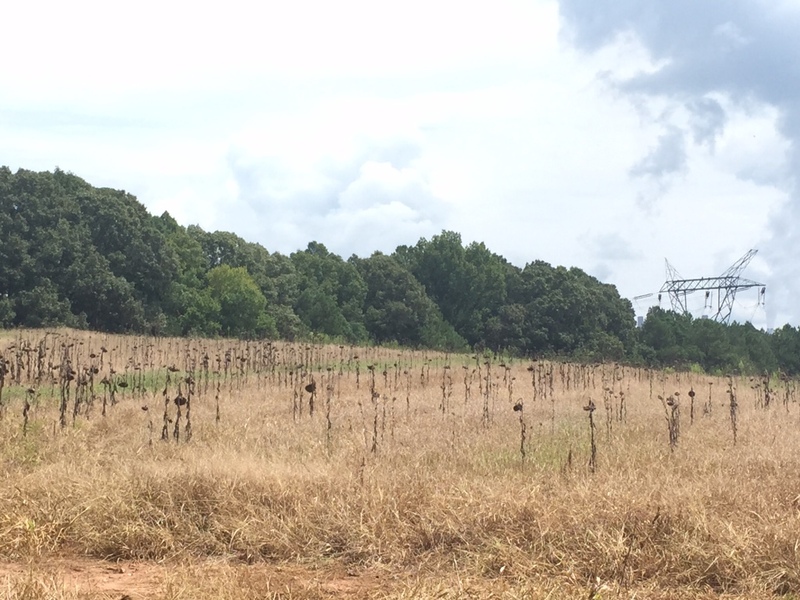 Planted in brown top millet and sunflowers. It's consist of 44 acres on both sides of the road. This is a quota hunt and it's really hard to get drawn for this hunt. We got lucky this year and half of out club got drawn. They have cut a few strips on each side to draw the birds in already and will cut the rest late next week...Opens Sept 5th....I know we'll burn up some shells. I always love the start of dove season as it kicks off hunting season. Our bow season opens the following weekend. what is the limit? are you going to need more than 1 gun due to barrel overheating like south of the border? Sounds like fun in the making. Hope your guys wearem out. Our dove season starts sept 1. We won't hunt until the weekend though. Labor Day weekend is always fun around here. Getting together with some buddies, kids, cooking, and hopefully plenty of birds. It's a great way to kick off hunting season.